You have to know where your kids are, what they're up to, and who they're with. But tweens and teens also have a right to privacy. How can you keep close track of their lives without violating their trust? A show of hands please: Who hasn&apos;t looked through her kids&apos; things — opened a tempting e-mail, rifled through school papers, maybe even peeked at a diary entry or two? If an informal survey of my friends is any indication, a lot of moms are bigger sneaks than they&apos;d ordinarily care to admit. "It&apos;s not that I don&apos;t trust my children, it&apos;s that I worry about them," says one mom, who, like others in this story, didn&apos;t want me to use her real name and risk blowing her cover with her kids. 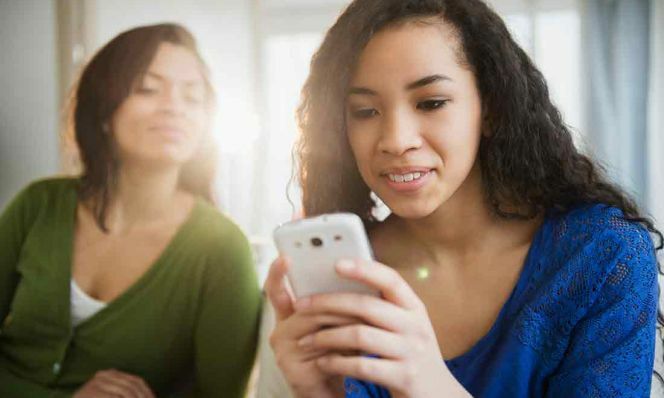 And now you can add to the mix all the ways kids give and get info — between texting, e-mail, and social networking sites, tweens and teens can have dozens of so-called friends, connections, and plans you&apos;re clueless about. For parents, technology offers multiple ways to monitor what&apos;s going on. We&apos;ve graduated from nanny cams to GPS-enabled devices for checking on their driving. There are even Web sites that let you see how they did on this morning&apos;s math quiz. Of course, it'd be better if you could just ask your kids what you want to know, but you may not learn everything — or, sometimes, anything. "My 9-year-old shares every detail of her day, to the point that I tune her out sometimes," reports a mother of three from Baltimore. "But her 13-year-old sister has always been excruciatingly private." So, especially if your son or daughter is a close-mouthed kid, you can't help but wonder what exactly your options are. I mean, even if I could crack my teen's Facebook profiles, should I? On the other hand, kids do require adult supervision — at least sometimes. Faced with this tangle of responsibilities and opportunities, I talked to child-rearing pros and moms (nosy and not) about everything from cell phone logs to IMs. Here's what I learned about being in the know. General consensus is that you shouldn't look at cell phone logs and texts unless a child is in serious trouble — skipping school or doing drugs, for instance. Spying on reasonably well-adjusted kids can undermine healthy development, according to Steve Schlozman, MD, a Harvard Medical School assistant professor of psychiatry at Massachusetts General Hospital. "Adolescents need to know you trust them to make good decisions," he says. "Your faith builds their confidence to take age-appropriate risks — ask someone out on a date, audition for the play, offer a political opinion." Prying can also spur kids to act out. "Kids need to have a separate life their parents don't know all about," adds Dr. Schlozman. "If you don't give them any privacy or independence, they may engage in riskier behaviors." Backed into a corner, many teens will up the stakes. While not all mothers and fathers agree that kids' cell phones are fair game, plenty of us check how they're being used. "When I was growing up we had one phone, in the kitchen, and my folks heard everything," points out a mom of three from Solon, Ohio. "I want to know that much about my kids, so I told them I'll be looking at their cell phone logs. I consider it monitoring, not spying." She's less forthcoming about texting. "I'm not sure they realize I can read their texts because they think I'm technologically impaired." She's turned up a lie or two. "My 17-year-old daughter spent the night at a friend's house and they snuck out. I didn't tell her I knew. But the next time she wanted to sleep there, I simply said, 'No, there isn't enough supervision.'" How you proceed depends upon your parenting philosophy — do you believe kids have the same right to privacy as you do? And you've got to consider who your daughter or son is hanging out with. 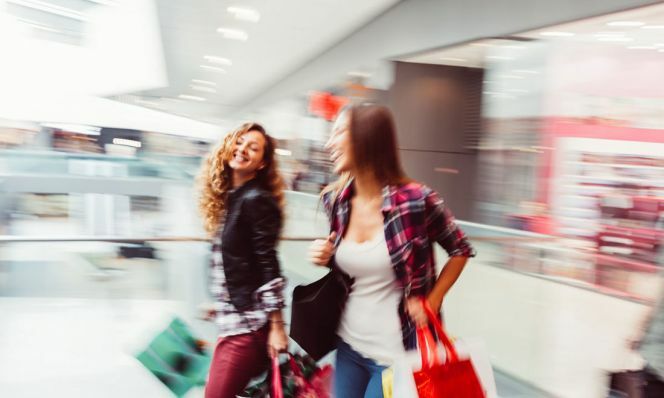 "It's still true that the kids who tend to get into trouble are the ones who run with the fast crowd," says Kay Abrams, PhD, a clinical psychologist in Kensington, Maryland. If your kids are trying to grow up too soon, you may want to meddle. In that case, though, still consider telling them you'll be checking and prevent the outrage they'll feel if they discover you've been sneaking peeks. One final consideration: "When you snoop, focus only on looking for danger," says Abrams. "If it seems like normal teenage talk, just stop reading and forget about it." It's a given that you set limits on screen time, block offensive Web sites, and set up filters to block inappropriate spam. Beyond that, lots of advisers recommend a hands-off approach. "Looking at your child's e-mails or Facebook page creates an environment of distrust and secrecy," says Jay LeBow, PhD, clinical professor of psychology at the Family Institute at Northwestern University in Evanston, Illinois. "If your kids can't rely on you to treat them with respect, they won't come to you when they need your help." Other experts feel that cyber sleuthing is fair game because online activity can be so public. "I think it's fine to say to your child, 'The computer is in my house and what you put up there reflects on our entire family. So I reserve the right to look at your account,'" says Ruth Peters, PhD, author of Laying Down the Law (Rodale). But, she adds, if the postings are consistently benign, back off. There's some division here too. "I've always told my daughter that I would read her e-mails occasionally," says the mother of a 13-year-old from Boston. "Kids don't get it that anything they put on the computer could be seen by everyone. I just want to make sure she isn't receiving or sending inappropriate messages or photos." Other moms warn against hypervigilance. "I have a friend who monitors every single thing her daughter does online," says a mother of two from Cleveland. "One time she even called another parent to complain about a nasty e-mail her daughter got. Now the girl is having a hard time socially." Listen to your gut. If you suspect your child is viewing banned sites or sending or receiving inappropriate messages, you may want to explore her online activity. Ideally you'll do this with her knowledge, and stop if you have evidence that you were mistaken. Otherwise, ask your child to show you her Web page or glance over her shoulder once or twice a week. Just don't take everything you read literally. For instance, it's normal for teenagers to complain about their parents or exaggerate, says Abrams. Installing a computer chip in a car or cell phone to track your child's whereabouts (or to get instant e-mail updates on the vehicle's speed) is just plain disrespectful, say the professionals. Not to mention counterproductive. "Kids react to this type of intrusion with increasing amounts of secrecy," says LeBow. "Spying is simply not a good way to create positive, open communication." Today's tech-savvy kids can probably circumvent your efforts anyway by disabling the GPS or leaving their cell phones behind. While many feel using GPS is creepy, one mother I talked to plans on installing it in her teenage son's car. "My philosophy is you have to trust but verify," she explains. "This way I won't have to worry about him; I can look online and see exactly where he is." Leave computer tracking to the feds, except in dire circumstances — the neighbors report they've seen your son drag racing, for example. "If your kids have gotten into significant trouble, explain that you'll monitor them until they've regained your trust," advises Dr. Schlozman. There's a huge temptation to look at journals, rifle through backpacks, or snoop in kids' rooms for the inside story. But the pros say resist. "Going through kids' things is impolite, offensive, and could seriously damage your credibility if they found out," warns LeBow. And it probably won't ease your mind anyway. In fact, reading the musings of a moody teenager may cause you unnecessary worry. While almost every parent is in theory against reading private materials, when it comes right down to it, several moms I talked to have done it. "When my daughter minimizes a diary entry on the computer, I sometimes justify looking at it because, well, it's right there on the screen," says a mom of two from upstate New York. "But I don't think it's a good thing to do and I'm not proud of it." Unless you see evidence of trouble — drug paraphernalia or sneaky food behaviors that could mean an eating disorder — don't even think about it. Instead, look for aboveboard ways to get the 411. Anything you learn from a diary could probably be teased out with honest conversation. Your tween or teen mumbles, "nothing," every time you ask what's new. Short of fitting your child with an FBI wire, how can you find out? Try these spy-free strategies. Drive the carpool. Kids tend to forget you're there and they talk freely with their friends. Draft other parents. Explain to a sympathetic mom that your son doesn't tell you anything, and ask her to keep you informed. Stay general. "Are you getting bullied in the locker room?" feels intrusive. Ask, "Is anyone being teased after practice?" Try, "What happened last period?" not, "Did you leave school early?" Keep secrets. Your husband doesn't need to know your daughter has a crush on the next-door neighbor. Unless your child is into something dangerous or illegal, don't involve others. Don't be a fixer. Kids won't open up if they think you're judging them or always telling them what to do. That you're furious with your husband. Kids see themselves as an extension of their parents. When you criticize him, they feel like you're criticizing them too. How panicked you are about money. Discussions of belt-tightening measures are fine and even necessary. Inciting needless worry — not so much. What you really think of your sister-in-law. Your children may inadvertently repeat what you've said. And your attitude could prevent them from developing a positive relationship with the person. How much you hate their best friend. Venting could drive a wedge between you. If you can't resist, talk about behavior rather than personality: "I don't like when Suzy calls after 11 p.m." instead of, "That Suzy is so rude!" What IFFY things YOU did in college. If kids ask, redirect them with a line like, "I don't approve of underage drinking or drugs of any kind." The point is not what happened then, but what you expect of them now.